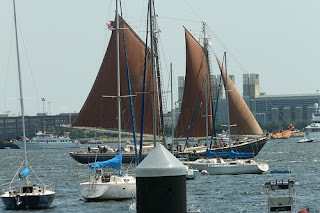 I was busy working and packing (for the weekend) today and did not have a chance to make it over to see the tall ships. Luckily, Bloggery Reader Sammy was kind enough to send a link over to the photos that he took while he was there, and they're awesome. Here's a few of them. I'm a little sad that I'm going to be gone all weekend and will miss seeing the tall ships. I have a great pirate impression that would go really well with these ships. Avast Matey! Click (here) to check out the rest of Sammy's pics. 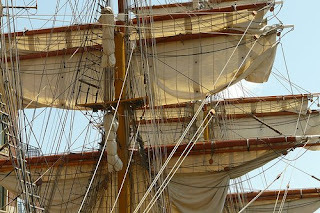 1 Response to "1000 Words - The Tall Ships"
Great photos! I"m looking forward to checking them out this weekend, especially with the beautiful weather!